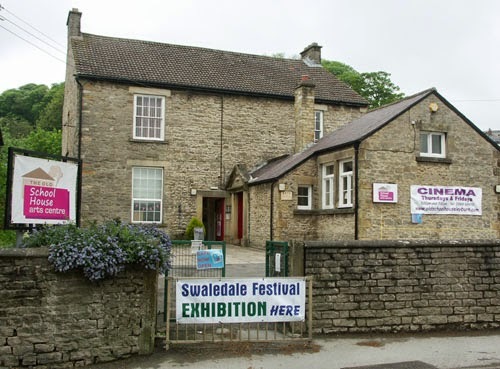 An old primary school building in Leyburn is now an arts centre, theatre and cinema complex and has a friendly little café. The TOSH website is here. 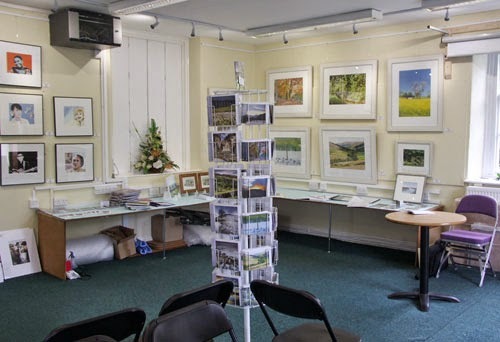 It is the venue for an exhibition called Plain Air, with a definite Dales theme, all five artists having connections with Wensleydale. 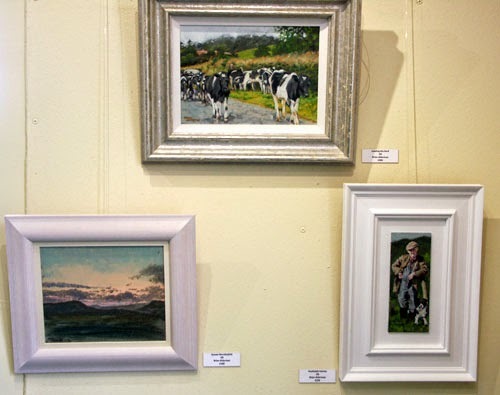 The five exhibitors are Bill Oakey, Moira Metcalf, David Tarn, Ann Kerr, and Brian Alderman. 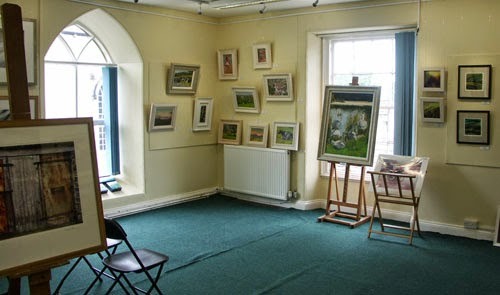 Another view inside the exhibition. 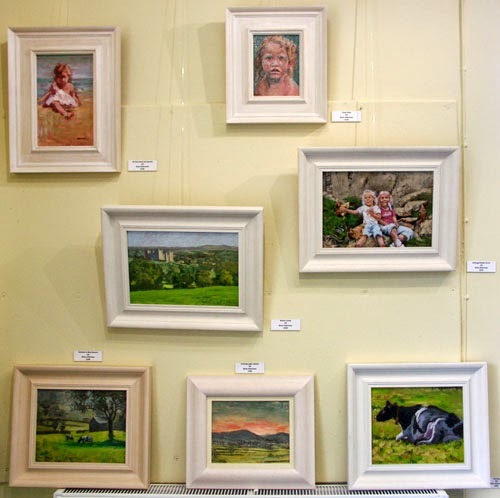 Some of Brian's new work is on show. The exhibition is on every day, and closes on Saturday, June 7, at 4pm.